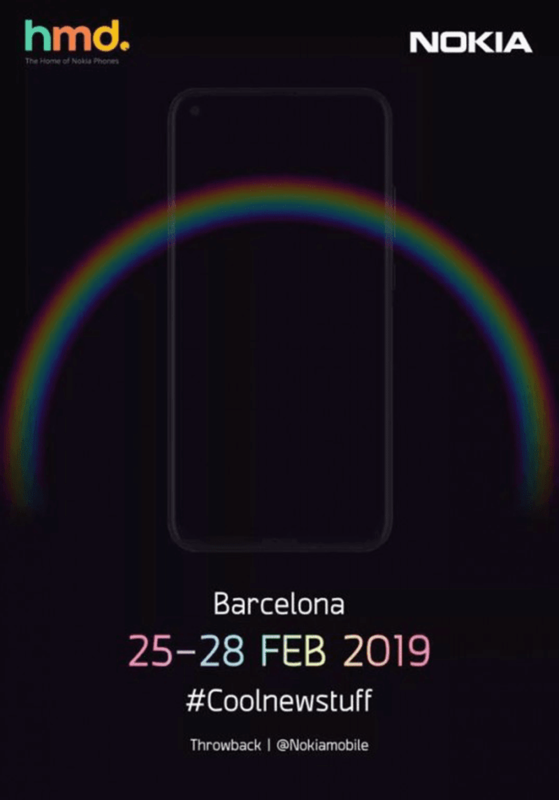 Juho Sarvikas, Chief Product Officer at HMD Global recently teased that we "really really" tune into their February 24 MWC 2019 Barcelona announcement. A couple of new teasers for the February 24 have also surfaced online. One of them could be the much-hyped Nokia 9 with a lot of cameras and the other one is a phone with punch hole selfie camera. Nokia 9 is long rumored to be the smartphone with five cameras at the back. 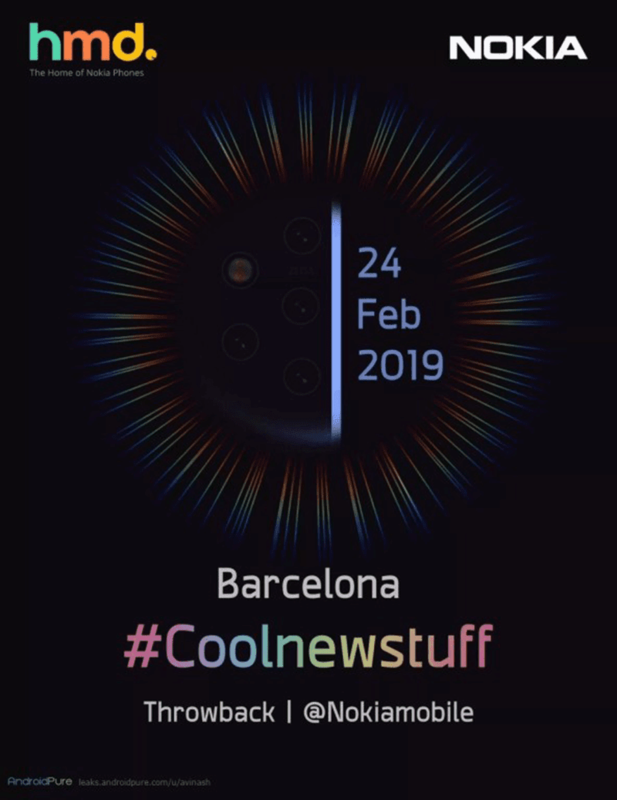 Nokia's teaser only showed four cameras an an LED flash. But based on a lot of leaks, the fifth camera is placed at right. On the other hand, the other Nokia phone has punch hole selfie camera. It is rumored to be the Nokia 8.1 Plus. It will feature a full screen display with no notch. It will feature a punch hole selfie cam instead. It is also rumored to come with a ZEISS dual-camera setup at the back. Let's wait for the official announcement of HMD Global next month!